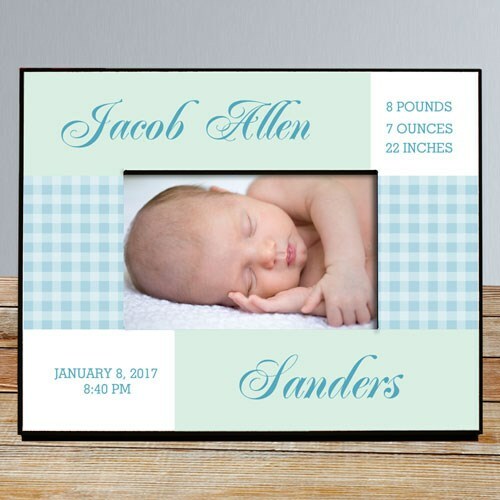 Personalized New Baby Boy Birth Picture Frame. It a wonderful time when you have a new born baby in the family. You can express the joy of a new little one by having a personalized picture frame. Announce the arrival of your little boy or girl with this personalized picture frame as a family keepsake for years to come.